Years ago, my then 16-year-old daughter came home from school and announced to my wife, “We are going to host an Aussie!” The high school she was in at the time hosted several Australian students each year. In true teenager style, she had quickly signed us up to host. Not entirely sure how having another teenage female in the house for ten days would work out, my wife and I hesitantly agreed. Our concerns dissipated the minute Kimberley walked in our door and said in her great Australian accent: “Hello Papa Bear.” Quickly, we were introduced to the warm, friendly Australian way of life, and it was like we had known her forever. Her and our daughter have remained close friends since. 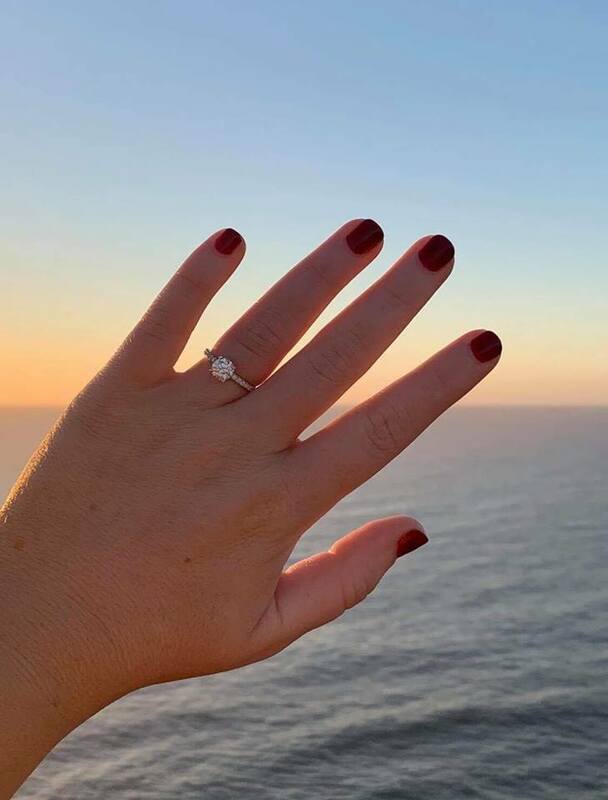 So, you can imagine how thrilled I was when Kimberley’s soon to be fiance recently contacted me about buying a diamond engagement ring for her. 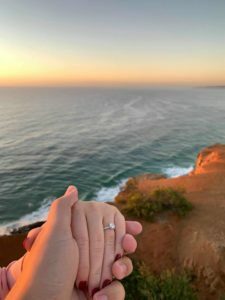 He had looked at different designs in Australia and had a pretty good idea of the ring she wanted. My job was to put his personal touch on the design of the engagement ring and make it all come together…from Seattle. We collaborated over email and phone, exchanging photos, sketches and thoughts of design. As a result, we came up with a gorgeous, custom designed engagement ring. One that fit Kim’s style and personality perfectly.